After implementing the Spin (named the 'Spin' because the quarterback pivots on every snap) Dale Weiner has seen tremendous results. 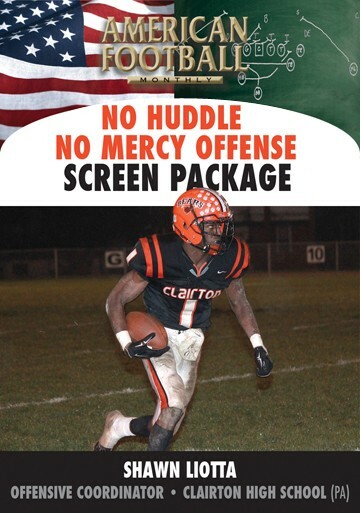 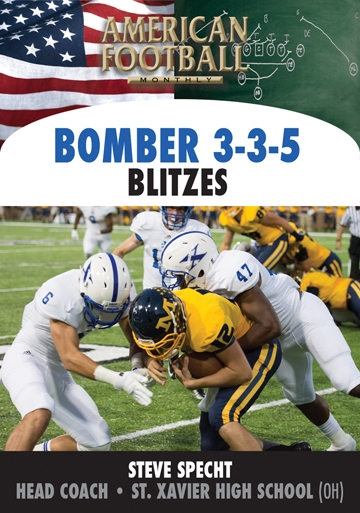 Catholic High School has posted a 50-9 record, averaging 34.5 points per game. 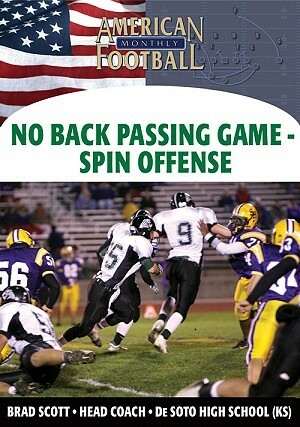 They've made the playoffs every year and as of the end of the 2006 season had won 29 straight district games. 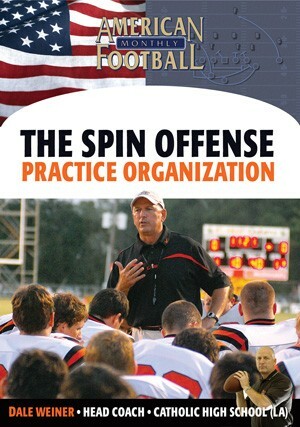 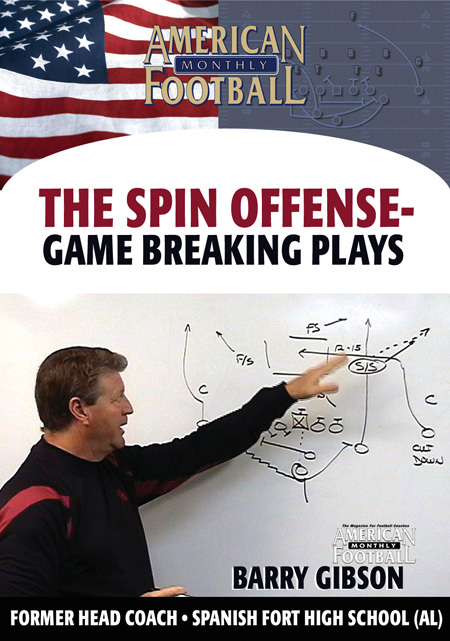 While the X's & O's of the Spin may be somewhat complicated, the strategy is quite simple. 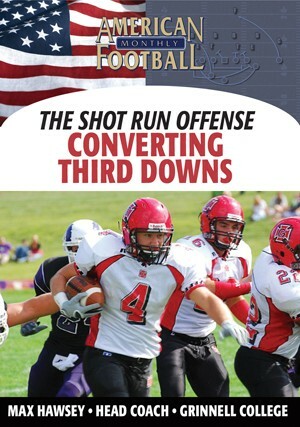 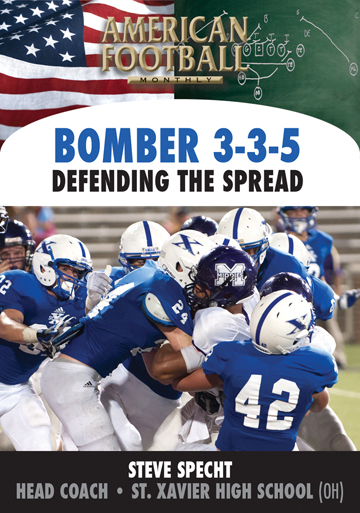 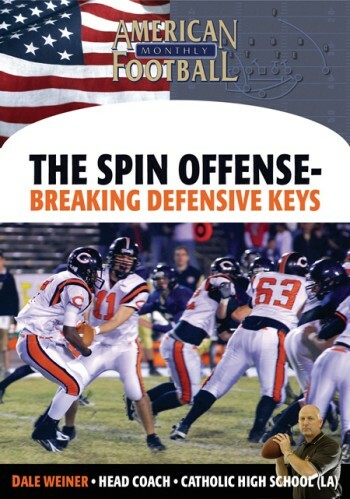 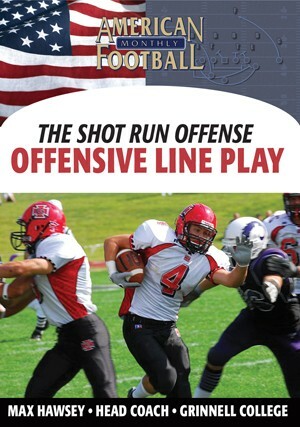 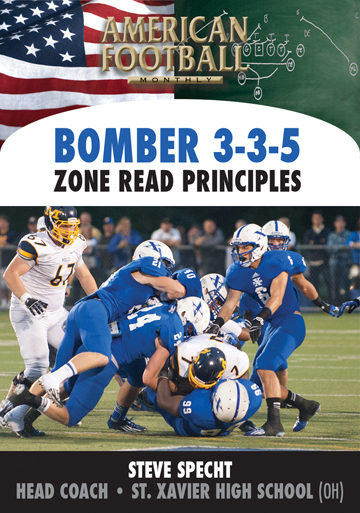 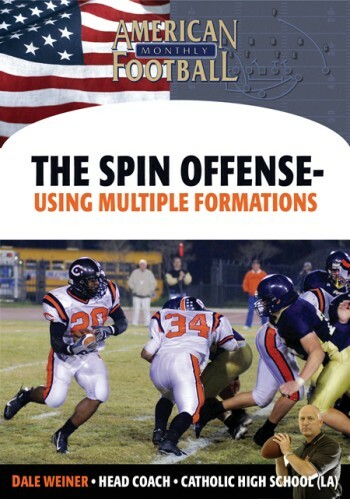 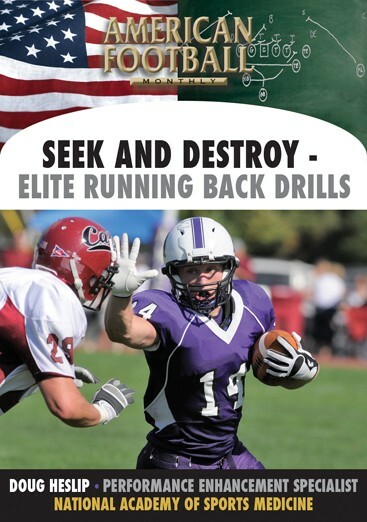 The Spin offense prides itself on misdirection schemes and similar pattern meshes between the quarterback and three running backs. 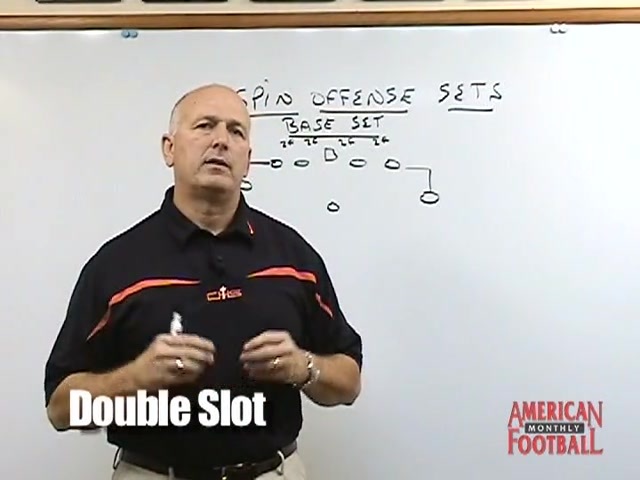 Much of it resembles the traditional Wing T scheme, but Weiner operates it out of a double slot set which provides for equal balance on both sides of the ball. 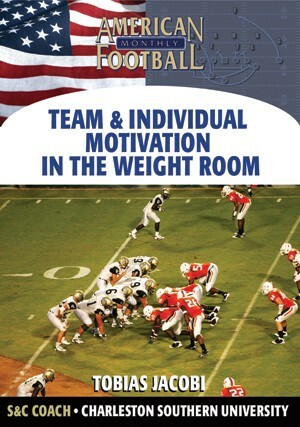 It gives any team that runs it an advantage over stronger teams with more talent. 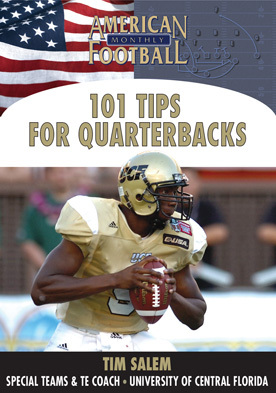 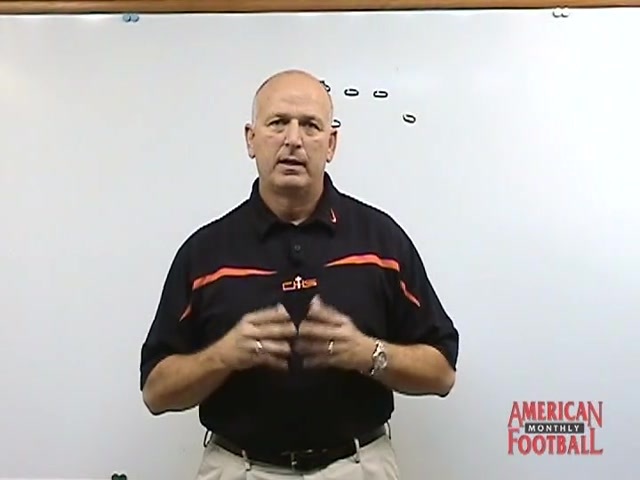 In this video, Coach Weiner presents the QB technique in the Spin, position by position responsibilities, cadence and the base, Double Wing, Wing End Over, Trips and Nasty Slot formations. 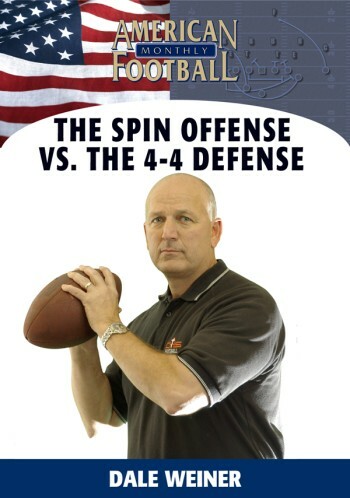 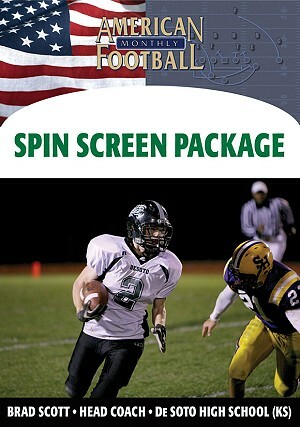 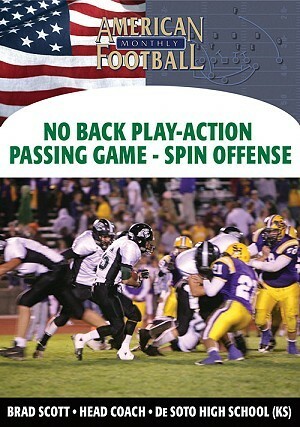 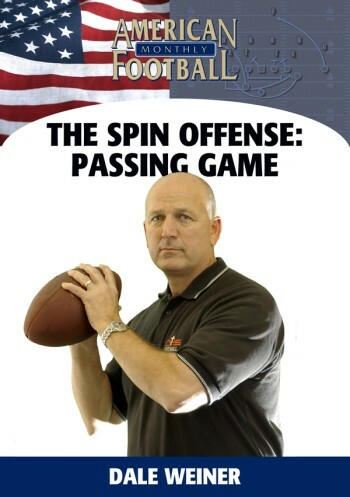 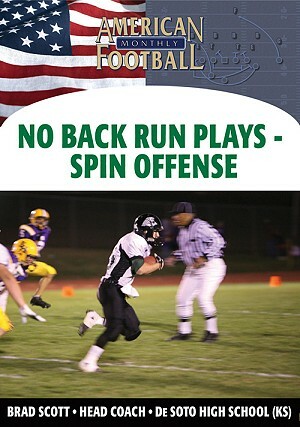 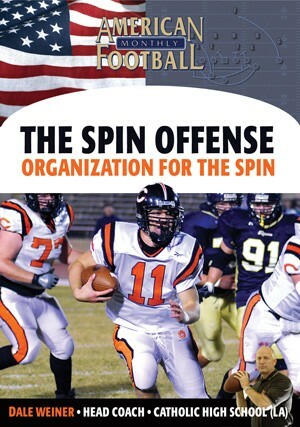 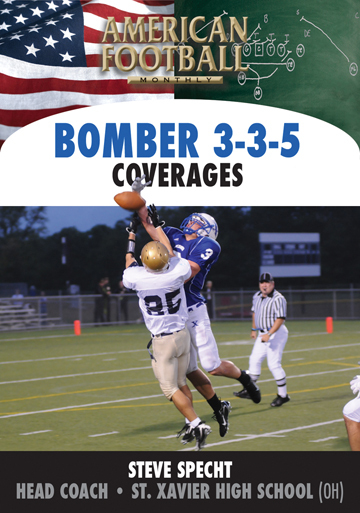 Game film coverage of the Spin is included in this video.